The title of this blog post might be a little on the nose, but I must share with you that I absolutely adore these toppers for both women and men, designed and created by Laura Moser of Simply Laura. 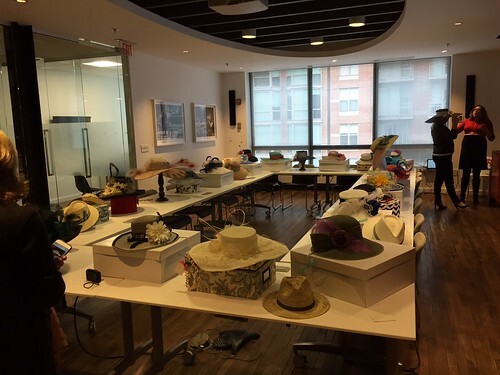 Last week, a comprehensive array of Laura’s collection was on display and for sale at iHeartMedia’s D.C. offices. 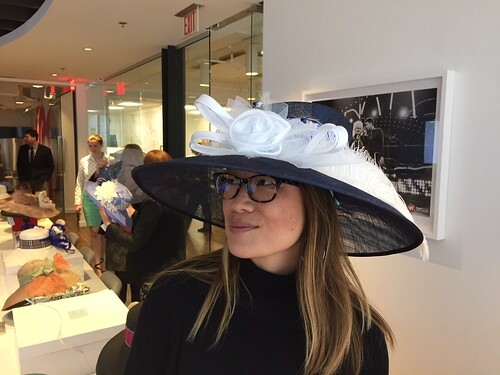 The late afternoon event, complete with wine, heavy hors d’oeuvres, cupcakes and macarons, was being put on for the Trust for the National Mall (a cause that has been near and dear to my heart as one of the first L’Enfant Society Ball on the Mall Host Committee members). Each spring, the Trust hosts an exquisite luncheon on the Mall, tented and extravagant for Washington society. It is much like the fundraiser luncheons held for New York’s Central Park: Civilized, sophisticated, full of pleasantries, politeness and power. But what to wear to such an affair? 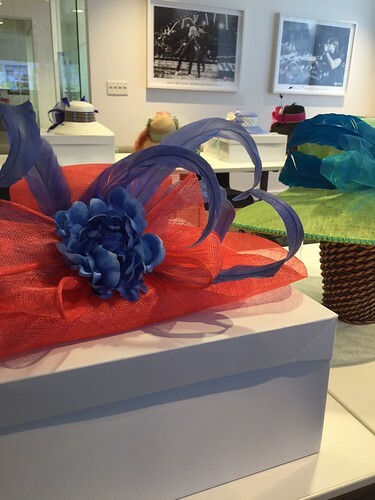 Think hat first, then dress. I did. I am now the proud owner of a dandy navy wide-brimmed number for which I cannot wait to search for a matching frock. And clutch. And heels. And jewelry. 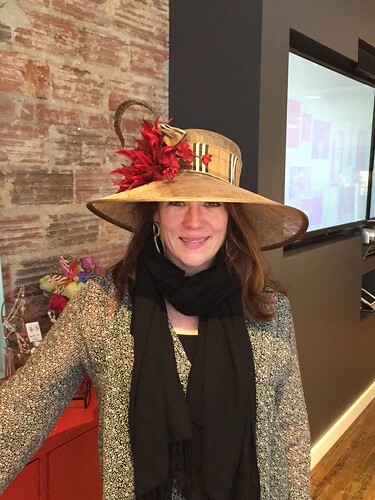 While we in the nation’s capital tend to have a hat to tip only for this luncheon, the Virginia Gold Cup Races and well, I suppose Easter, I say, why not bring back the magnificent millenary? I for one have been a fan of Goorin Bros. for daily casual wearing. But why not add a touch of glamour and chic with your more dressed up wardrobe? I think hats can be daring, but not scary. And Laura helps her clientele find the right one for her or him. There’s no “I can’t pull a hat off” going on her. She can even help design one specifically for you (and your head shape, style, hair, etc.). so excited for this hat! 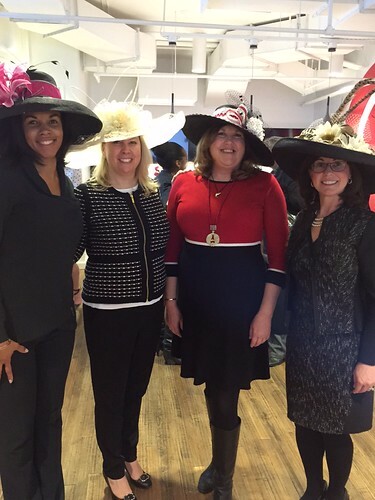 So hats off to Simply Laura for encouraging us to don proper toppers in D.C. with ease and confidence. Learn more about the Trust for the National Mall’s Annual LuncheonÂ which is Thursday, April 28th. 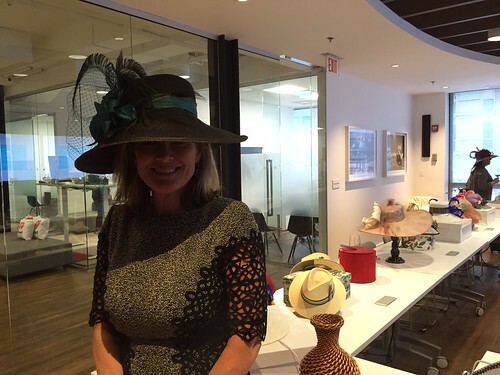 Check out Simply Laura’s hats and learn more about her here.